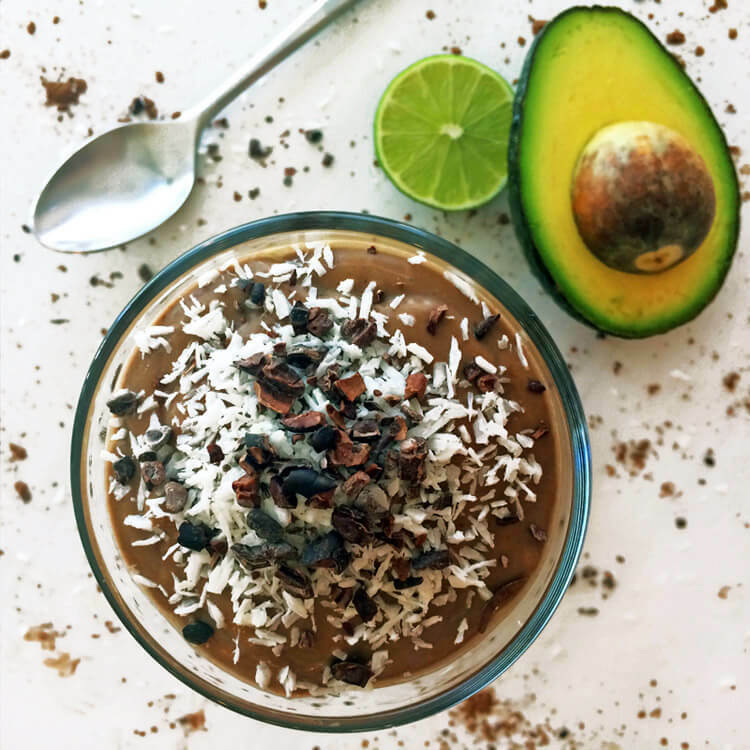 Smooth and creamy keto chocolate avocado smoothie. Enjoy this keto avocado smoothie for a quick and easy meal. 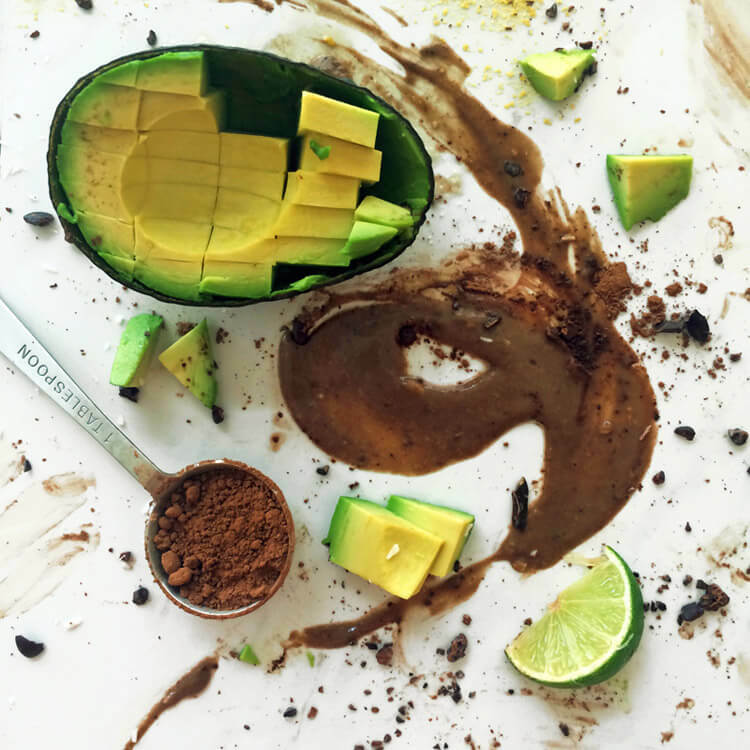 The avocado has no taste when it is blended with the chocolate powder. View more Keto Smoothies, Keto Shakes and Keto Milkshakes. If you like this recipe, share it on social media with your friends and family! Easy keto avocado smoothie for quick meals. 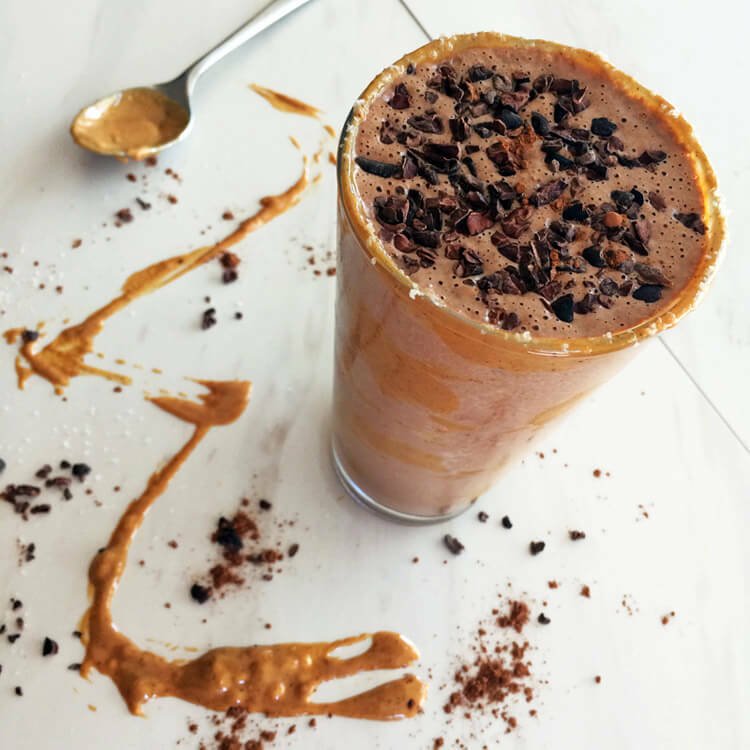 Try my Chocolate Peanut Butter Milkshake. View my Keto Shopping List of diet approved foods. Mix all the ingredients in a blender for 20 seconds. Add cocoa nibs at the end for crunchy flavor! Refrigerate avocado halves in a sealed container. Keep the seed inside to prevent browning. Always add a pinch of mineral salt to bring out the flavor. Use coconut yogurt for a probiotic ingredient. 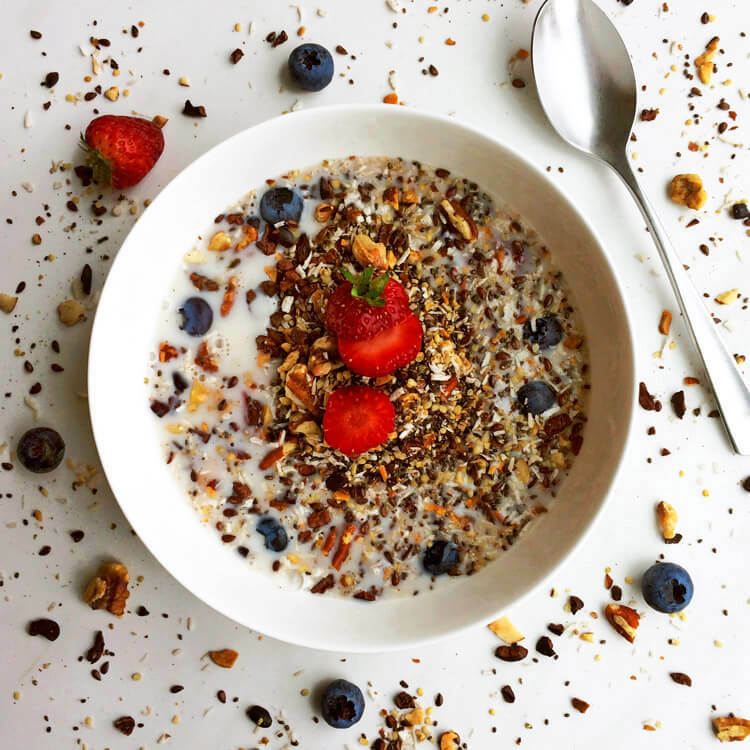 Add chia seeds or flaxseed to increase fat, fiber and protein. Add a tablespoon of coconut oil or avocado oil to increase fat. Learn how to lose weight on the keto diet. Explore all my keto smoothies, shakes and milkshakes. They make quick meals for when you are on the go. More keto smoothie recipes. View all my low carb smoothies. Delicious keto shake recipes for quick meals. My favorite is the Peanut Butter Milkshake!